One of, if not the most popular heirloom knives originally imported by Puma GmbH Solingen, Germany in the mid-late 1950's. This legendary knife design featuring the classic "Bowie Knife" clip point has an overall length of 11" and a blade length of 6.1". The satin finished blade is made of 4mm 1.4116 German Cutlery steel and has a Rockwell hardness of 55-57. This is a classic knife that has been used in every aspect of the outdoors, including Hunting, Fishing, Camping, Tactical, Survival and Bushcrafting. Puma SGB fixed blade hunting knives also feature POM Commando Stag handles, brass finger guard and pins, brass lined lanyard holes and large assortment of blade styles made to accommodate any outdoorsman's field dressing or skinning needs. 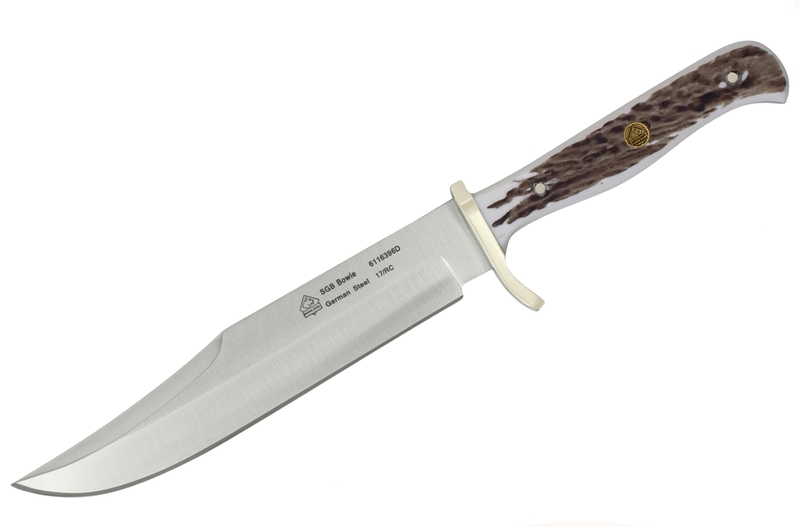 The Puma SGB Bowie is available in Stag, Wood, White Bone, Micarta and the New Commando Stag Handles. 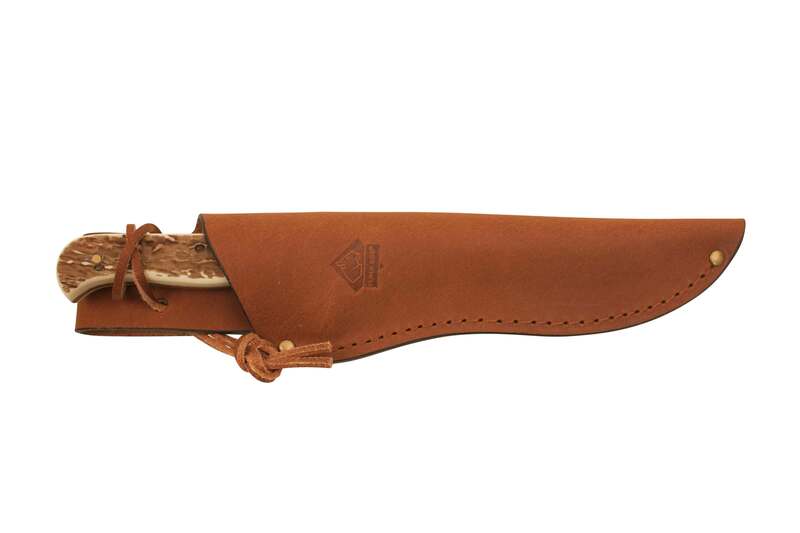 All Puma SGB Stag handled knives come with top grain leather sheaths that are 100 percent vegetable tanned and feature a rich, durable brown aniline finish that lets the full beauty of the leather show through. All Wood and Micarta handles come with ballistic nylon sheaths. When it matters, would you prefer German steel or Chinese steel?